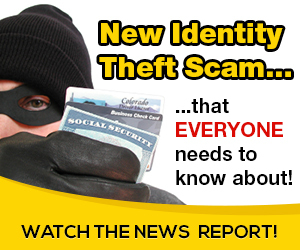 Identity theft is the fastest growing crime in the United States. In order to understand this crisis and respond there are two definitions that should be understood: data breach – a security incident where confidential information is stolen or accidentally released; identity theft – the fraudulent use of a person’s personal information. There is a high likelihood that your personal information was compromised in multiple data breaches. In terms of identity theft, depending on the study, the number of victims in 2018 ranges between fifteen and eighteen million. By way of comparison, the odds of winning a lottery are 1 in 100 (this includes everything from the MegaMillions drawings to the local PTA or church drawing for a gift basket or a gift card). The odds of being an identity theft victim – 1 in 15. Now that you know the statistics, the question becomes – what do I do? Personal information is everywhere and there are new breaches every day. First, understand that there is no way to be protected from exposure in a data breach. Services such as LifeLock and those provided by credit bureaus alert you to incidents of identity theft and activate recovery plans, they cannot stop the breach or the theft. What you can do is erect a barrier to reduce the likelihood of identity theft. Begin by requesting copies of your credit report from each of the credit bureaus. 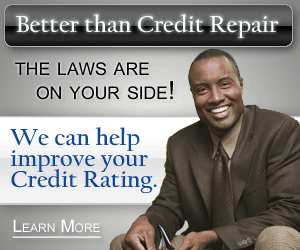 Credit bureaus collect information on financial status and rate loan risk for lenders. The report includes previous and existing loans and credit accounts. An examination of the reports can indicate if fraudulent loans or credit cards have been obtained in your name. Copies of credit reports are free from each of the credit bureaus and Vermonters are entitled to two copies each year. The next step is to establish credit freezes separately with the credit bureaus. Credit freezes are the most effective way to combat identity theft. A credit freeze locks access credit history held by the bureaus. Banks and other financial institutions rely on these reports to determine credit worthiness and to grant loans or credit. Inability to access credit history places a roadblock in the way of new accounts. (Freezes do not effect current accounts or loans which should continue to be tracked for any unauthorized use). In order to get a loan or a new credit card, for example a home equity loan or automobile lease, the account owner can lift or “thaw” the freeze for a specific purpose and then can reestablish the freeze. Laws passed in 2018 provide free credit freezes and thaws. It is important to establish freezes for each member of a household, including children. Vulnerability to identity theft is not based on households; it is based on individuals. Last year over one million identity thefts were reported involving minor children. Credit freezes must be requested separately from the credit bureaus. In requesting a freeze, you will be asked to establish proof of identity so expect questions related to past loans, credit cards or other personally identifiable information such as your Social Security Number. In quick summary, here are essential steps in self-defense: 1) Monitor credit and bank accounts on-line. It is safe and allows you to see what is happening before the monthly statement arrives; 2) Request copies of your credit reports by calling 877-322-8228 or going on-line www.annualcreditreport.com. This source provides reports from the three major bureaus and is sanctioned by the government. Contact will not result in pressure to buy services or products; 3) Establish credit freezes by contacting the credit bureaus Equifax 800-525-6285 www.equifax.com; Experian 888-397-3742 www.experian.com: Innovis 800-540-2505 www.innovis.com: TransUnion(800) 680-7289 www.transunion.com; 4) Be a better guardian of your own data by restricting the personal information you share in person and in social media, utilizing up to date computer software and malware protection, creating robust passwords or passcodes for access to any digital accounts. Visit www.aarp.org/fraudwatchnetwork for more information. AARP Fraud Watch provides free public seminars and presentations to any group making a request. Contact [email protected] Elliott Greenblott is a retired educator and the Vermont coordinator of the AARP Fraud Watch Network.